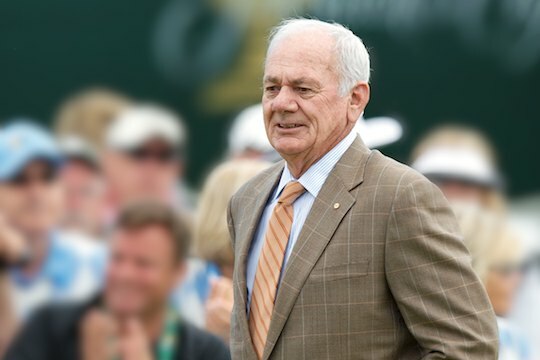 Two-time Major champion, David Graham, will be inducted into the World Golf Hall of Fame (WGHF) in 2015 after being elected by the selection commission on Thursday. Graham will enter the WGHF alongside Professionals Mark O’Meara, Laura Davies and former American golf course architect A.W. Tillinghast. The former Australian Professional is one of only four Australians to receive induction into golf’s most honoured club. “This induction caps off an exceptional career and on behalf of the PGA of Australia I congratulate David on this magnificent achievement and milestone.” said Brian Thorburn, Chief Executive Officer of the PGA of Australia. While Graham’s two biggest wins were in the United States he is truly a worldwide competitor representing Australia in three Dunhill Cups, two World Cups and International Team captain in the inaugural Presidents Cup in 1994. Graham was one of 16 Finalists to be considered for the World Golf Hall of Fame.